Hate Crime legislation adds another dimension to a crime that is unwarranted. The racialization of Zimmerman’s killing of Treyvon Martin brought race as an issue. Without that issue as a wedge the political play was absent. Our obsession with race is becoming an impediment to justice. Was Zimmerman profiling. Probably. We all do. We are suspect of someone in our neighborhood that does not look like he belongs there. It may a black man in a white neighborhood, a tattooed Hispanic in a black neighborhood, a skinhead in an orthodox Jewish neighborhood, or a seedy looking white man in a wealthy neighborhood. If Martin was white or any ethnic group other than black we would have heard nothing about this trial. 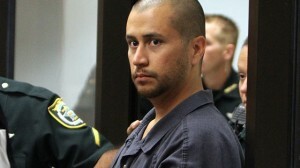 If Zimmerman was black we would have heard nothing. Yet, as much as Zimmerman’s actions may have instigated the tragedy, do you think he would have acted differently if the guy who was hitting him was a fellow Hispanic or white? The rationale behind hate crime legislation is that such motivation creates harm beyond the victim, but the harm that hate crime legislation creates is that politics gets injected into the courtroom. Hate crime legislation is distinct and is part of the original prosecution if the prosecutors elect to pursue it. It is different from the double jeopardy that the accused is subjected to when he is subjected to civil prosecution after he is acquitted of the original crime. While Hate Crime charges were not brought against Zimmerman (hate crime is much more than mere profiling), hate crime legislation is a part of and a cause of the racialization of justice. The political motivation in a criminal trial is a chilling prospect. It seemed clearly at play in the Zimmerman trial. A true liberal should be outraged.